I don't know about you, but now that I have an overlocker I can't imagine not having one. I love the finished look it gives and I just love using the machine too! It seems hard to remember a time when I didn't have an overlocker but I've only very recently started using one. Furthermore, I never really needed one. Of course, having an overlocker makes some parts of sewing a lot easier but overlocking definitely isn't a necessity. Today I thought that I'd go through the two main things I use my overlocker - finishing seams on woven fabrics and sewing stretch fabrics - and how using an overlocker has changed my approach to these things slightly. To begin with, woven fabrics. I think that while overlocking woven fabrics can do a wonderful job at preventing them to fray, it can often be time consuming and unnecessary. Before I began using my overlocker, I would finish the seams using a zig-zag stitch after I sewed them. Instructions for woven patterns often tell you to do this and while it works fine with a sewing machine I wouldn't recommend doing it with an overlocker for several reasons. The first is that an overlocker is far less malleable than a sewing machine - you can't get it to sew in a small gap or begin and end sewing in a precise location. 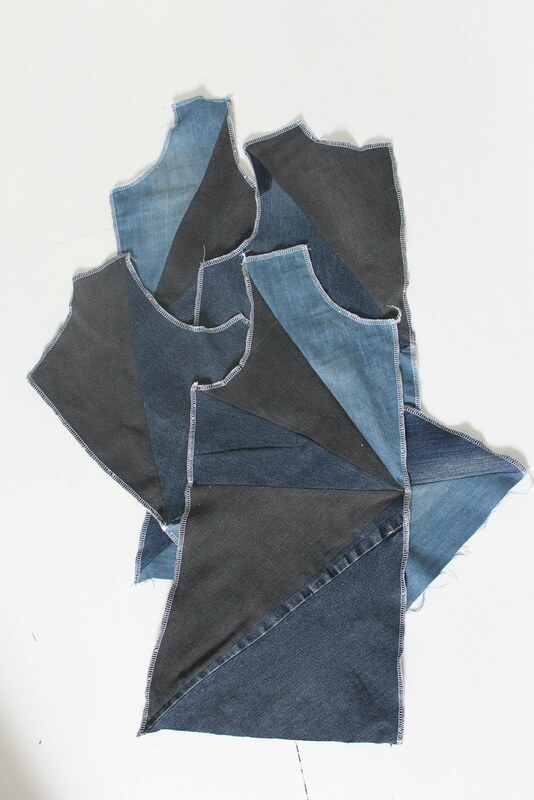 Overlocking takes a long time to unpick and the damages may be unrepairable if the blade slices into the fabric. A normal sewing machine is much easier to unpick and much harder to completely wreck a garment with! Because of this it can be better to revert back to a zig-zag stitch on your normal machine if the seam you need to finish is particularly intricate. The second reason I wouldn't recommend sewing a seam on your sewing machine and then finishing that seam with an overlocker is that it is time consuming. If you're using the same machine for the entirety of a project all you have to do is switch the dial to a zig zag stitch and you can carry on sewing in no time. With an overlocker, it's different. You have to actually switch machines. While this doesn't take all that long in theory, in practice it can take a while especially if you're having to do it continuously. For me, although I do have enough space to have two machines side by side on my sewing table at once, complications to do with plug sockets, mixing up pedals, tangling wires and having to put everything else to one side mean that it just isn't practical to do this. Because of all this, I find it much easier to do all overlocking in one go. 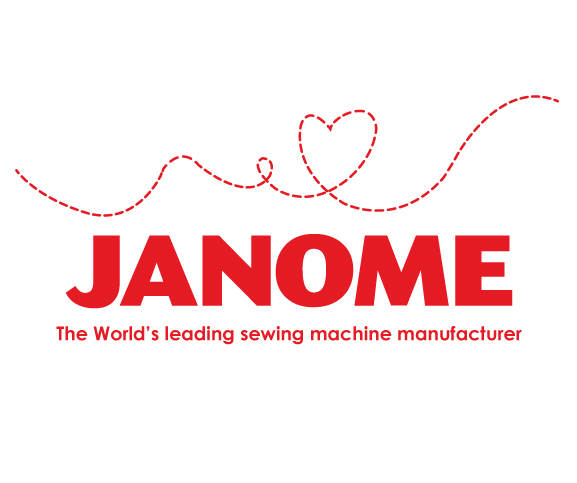 It means that I can comfortably use just the one machine and it also prevents later problems of having to overlock while partway through a project. I like to overlock around the outside of each pattern piece straight after cutting the fabric and before I begin sewing. For fabrics that fray a lot it also has the knock-on effect of meaning that the fabric won't fray mid-project. When it comes to overlocking jersey fabrics, I like to take the opposite approach. One of the things that I LOVE about overlocking is the fact that it cuts off any extra fabric. While the blade is slightly nerve-wracking and takes a while to get used to at first, it's a feature that I love using especially on jersey. It allows for such a clean finish. Sewing with woven fabrics tends to be a lot more intricate than sewing with jersey fabrics, and because of this a stretch garment can be sewn up in absolutely no time on an overlocker. I now very rarely sew knits on a regular sewing machine and I was wondering about whether there are actually some downsides to this. On a whole, I think that if you can, you should absolutely sew the entirety of a jersey garment on an overlocker. The main (and possibly only) downside I could come up with to this is that you can't actually see what seam allowance you used. This may be fine if you are only using a particuar pattern once or are happy to sew with the given seam allowance but I find that I often make the seam allowance smaller or larger depending on how well the pattern fits me: it's a really easy adjustment and means that you don't have to trace out another pattern size. On a woven garment I often measure the seam allowance that I have used on a previous make using that same pattern so that I can replicate it. But on a jersey top that has had any excess fabric cut off of the seam, I can't go back and check what seam allowance I used. While this is by no means a big problem, it can be slightly frustrating if I want to make another version of a pattern to be the same size as my previous version. I guess I should just always note down which seam allowance I used where, but somehow that never crosses my mind when I'm actually sewing! 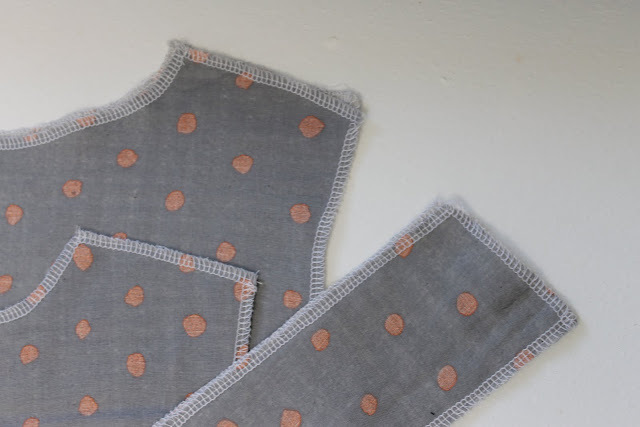 I hope you enjoyed reading a few of my thoughts about when overlockers may in fact hinder sewing and that you may have taken a few tips away with you too. 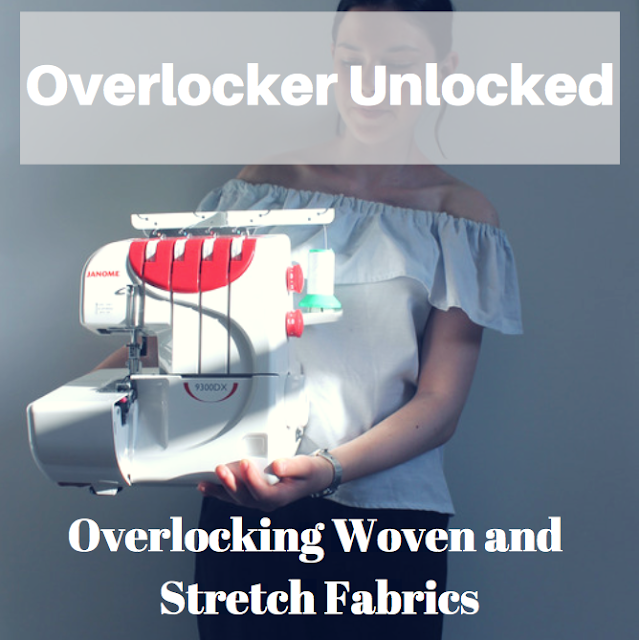 To conclude, I absolutely love using my overlocker and will definitely continue using it, I just thought it would be interesting to note a few things down! If you'd like to read the other posts in this series, you can do so here. Such great points!! I found out this very thing once I started sewing more woven fabrics. I also think my overlocker was life-changing! My serger : one of my best friends. Look at 8 min 02, she made a little object very practical and easy to do. I can't imaging sewing without my overlocker now that I have it. I didn't use mine for 6 months when I first got it! I know, silly. Have a lovely week. 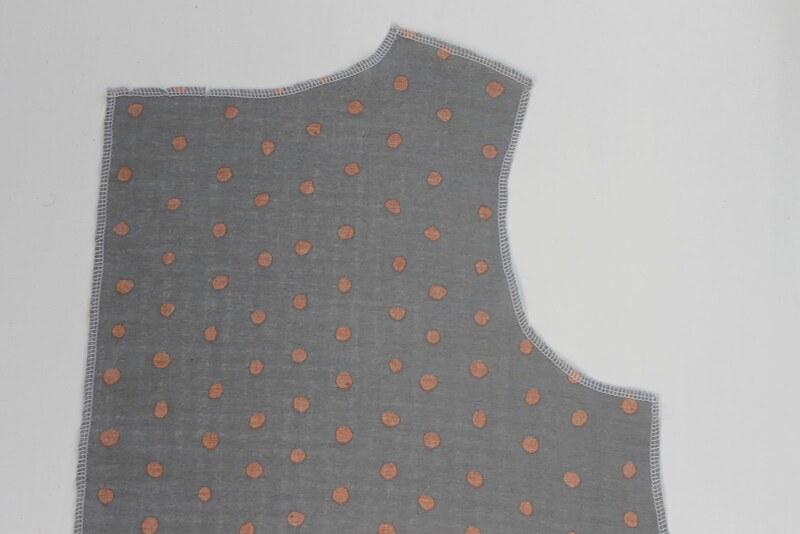 Wouldn’t it work to measure the jersey garment from seam to seam, and then compare that to the pattern? Or lay the pattern pieces back on top? You could at least easily see any big changes you made.